Power on the device. The green COP indicator will be blinking. Press and hold Func, briefly tap (press and release) the SetABC button, then release Func. Four indicators will blink to confirm that factory settings are restored. NOTE: This does NOT affect transmitter linking. PRO TIPS: Bending a single paper clip into a U shape will enable you to easily reach and press both buttons together. If you are not sure what mode or setting you may have selected, you can always get back to a known starting point by returning to factory defaults. 1. Power up LFX Master DMX. Please find profound technical support about all RC4 Wireless products in the RC4 knowledge base. If the software versions shown above does not match we recommend to update the software. Without the latest software version installed the external DMX-module might not be identified by the LFXHub. To install a software update it is not required to ship the LFXHub to us. We send the software by e-mail on demand. If there are questions please contact us. As a B2B company based in the European Union VAT is not charged if you provide your company´s valid EU VAT ID. 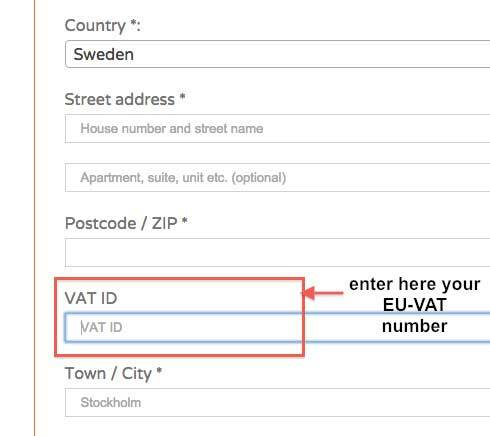 Please enter your European VAT ID during checkout in the tab “Billing address“, if the validation was successful VAT will not be charged on the final check-out page. Within Germany we use our own dispatcher. Delivery is the next day if payment is completed. For shipments to other countries we use DHL Express or UPS. Anyway you will receive a shipping confirmation by e-mail including tracking details. Within Europe your order normally arrives the next day if payment is completed. Please see more details at the payment methods page. After your order has been placed you will receive the invoice by e-mail. Please transfer the amount to our bank account asap. If you send us a transfer confirmation from your bank we could ship immediately. I´d like to use my own forwarding company for shipping. Please drop as line. We will arrange it for you. Tell us which products you prefer to purchase. Could not find an answer. LFX Hub is discontinued – why should I buy it? The LFXHub is the most versatile flicker box. It provides an input for optical and electrical sensors, even provides a lightning option for lighting effects of a thunderstorm, paparazzi shot , or single flashes of a photo camera. Do I need an operator for lighting effects with the LFX Master DMX? It´s sophisticated user interface makes it easy even for beginners to create any type of lighting effects. Have a look at the quick-start-guide. Do I need an operator for lighting effects with the LFX Master dim? No, look at the control panel. It´s self-explaining. LFX Master series: 1 year – because these two flicker boxes are very new, based on the LFXHUb technology, we will probably extend the warranty to three years either in the future. An external DMX dimmer seems to soften e.g. a fire effect. It looks bad. What is wrong? The dimmer curve is obviously not set to “linear”. Please change the dimmer curve of all power outputs to “linear” at the DMX dimmer. Check it by using a tungsten lamp at the power output of the LFXHub. Also note you should disable any pre-heat function. May I use the LFX Master dim in the US? Yes, it´s autosensing the input mains voltage and frequency. Simply plug it in, may be suing an adaptor and go ahead. Why should I prefer the LFX Tools instead of the built-in effects engine of some LED lamps? The LFX Master DMX and LFXHub use high resolution flicker CURVES with sequential dimmed values. All built-in effect engines of LED fixtures use random patterns of a variation of fixed values. For that reason all “organic” effects like fire, candle, welding, lightning and TV take advantage of the pre-programmed flicker curves with 24 fps resolution which ensures a natural look. Even the LFX Master dim uses the same quality of flicker curves as used in the LFXHub and LFX Master DMX. LFXHub flicker box is discontinued – why should I buy it? The LFXHub flicker box is the most successful lighting effect generator. It´s versatile functions are unique. Which wireless standard should I use? First of all you need to check if there are any existing wireless networks. If no, the best choice is the RC4Magic series. It provides the most number of product variations for virtually every application. Alternatively choose Lumenradio products or the W-DMX standard. Please get a overview of the different standards. If yes, this shouldn´t be a problem but you need to consider some things. Please contact us for assistance. Prefer a DMX-OUT device preset. Custom config in the “expert mode”. Use a battery for the LFX Master DMX connected at DC input 1 or 2. You may also drive all RC4 products with a battery from 5 – 32 VDC. Recommended batteries: USB powerbank originally design for smart phones, min. capacity 4200 mAhs. All RC4Magic series has a lifetime warranty. After any time of use, if there is a malfunction, we will replace the unit. Where can I buy LFX Tools?